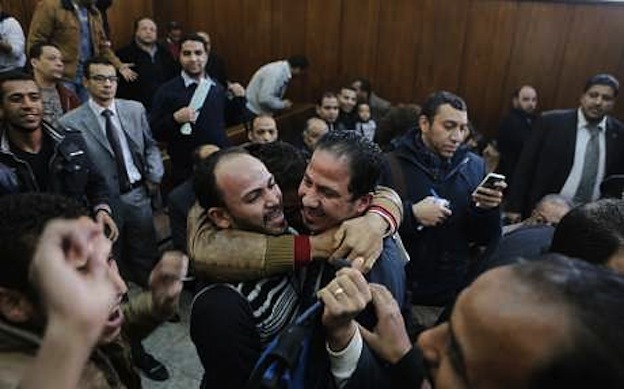 UPDATE: The Egyptian Initiative for Personal Rights tells me (and the newspaper Al Wafd reports tonight) that the prosecution has formally appealed the not-guilty verdict against the 26 men. The prosecution has the right to appeal twice, under Egyptian law — once to an appeals court, and after that to the Court of Cassation. We don’t know whether the appeal will be accepted and a new trial held. Our understanding is that the law requires the existing verdict to be implemented pending the appeal — that is, the men should be freed. But the police will very likely try to find some pretext to keep them detained. What this shows is that the state is still hellbent on persecuting these men to the limits of its power. “This court finds the defendants innocent ….” That, or more or less that, was all anybody heard the judge say. The courtroom exploded. Lawyers cheered; journalists stood on the benches and joined the cheering; and the families, manhandled outside by the bailiffs before the hearing began, forced their way in through the doors and shoved the policemen aside in return: brothers and fathers shouting to the cameras that their kids were vindicated, black-clad women trilling the zaghrata — the triumphal ululation heard at weddings. It spilled into the halls outside. 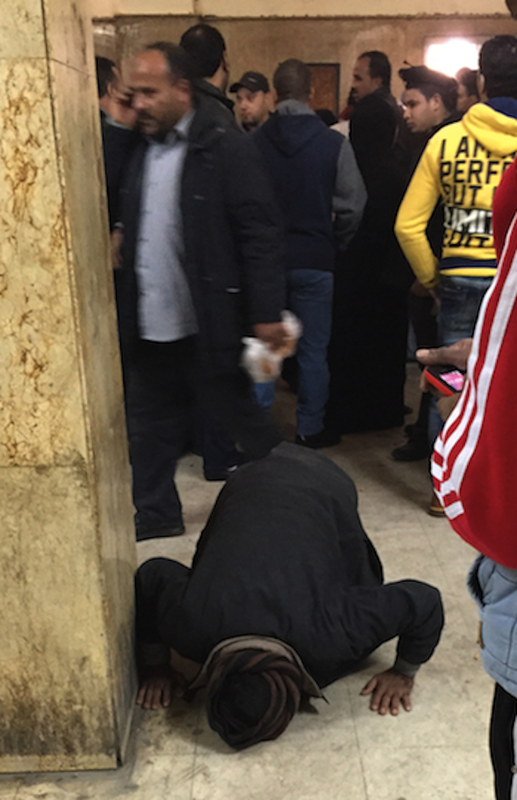 At one point the families and a few friends stood fists pumping in a circle, chanting “Our sons are men!” And there were cries of “Put Mona Iraqi on trial!” I’ve never seen anything quite like this in attending countless Egyptian trials over the years. We’d never felt anything like this. No one expected it. No one was prepared. You have to understand: acquittals happen rarely in Egypt; when they do it’s generally because of an appeals judge who cares about the rule of evidence, certainly not at the first instance. This is the only high-profile human rights case since the 2013 coup that ended with such a success. Egyptian activists who worked on this case, documented it, and helped mobilize journalists and intellectuals and other activists to express their horror at what Mona Iraqi did — they deserve credit for this. I don’t know exactly what motivated the judge to look at the facts and not the headlines: whether he cared about the public pressure or about his own reputation (at the last session, he called the journalists to the bench to ask why they were so interested in this case) or whether he got a message from above that the state was ready to back down. But it wouldn’t have happened without ordinary people, gay and straight, from the families themselves to bloggers to tens of thousands of folks on Facebook and other social media, in Egypt and abroad, who had the courage and energy to speak out. Families of defendants rejoice in the courtroom. Photo: Associated Press. There’s more to be done. The crackdown must end. I hope this sends a message to the police that judges will no longer rubber-stamp their concocted cases, but the pressure on them needs to keep up. Other journalists need a reminder that the opprobrium Mona Iraqi met can extend to them if they continue their collusion with the surveillance state. Some lawyers are talking about pressing a case against Ahmed Heshad, the arresting officer from the morals police; for faking his testimony in the police report, and for his illegal leaking of information to Mona Iraqi. (Lester Feder of BuzzFeed, who was there with us today, covers the police misconduct in his excellent account of the trial, written with Maged Atef.) Others want to sue Mona Iraqi herself. (Mona is reportedly in Paris this week, having taken a convenient vacation while the consequences of her acts play out.) I’ll write more later today about why this story isn’t over. Meanwhile, though: the joy left me dazed. I was full of memories. I first came to Egypt in November 2001, for the last session of the Queen Boat trial. 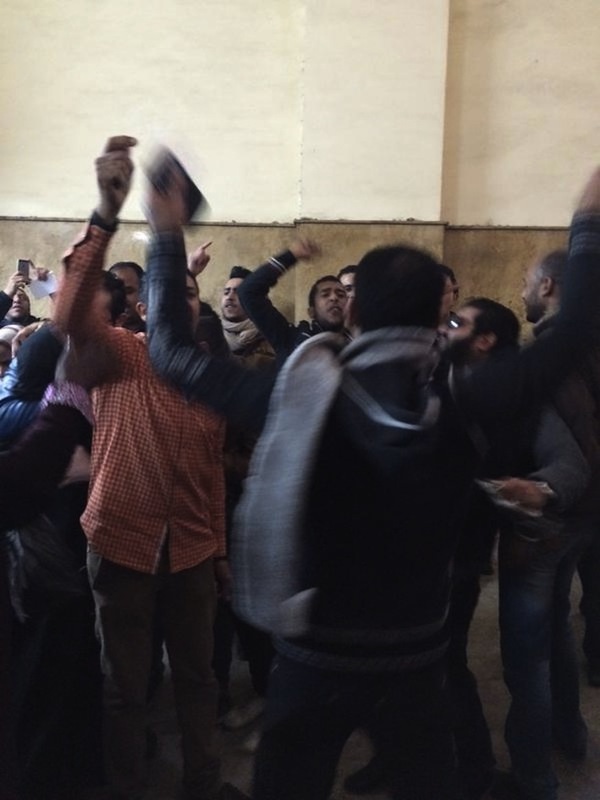 When that chaotic, overwhelming hearing ended, a few of us — including Maher Sabry and Hossam Bahgat, both of whom had worked hard to spread the story of the arrests to the world — went to the old Horeya cafe in downtown Cairo. The place was founded in 1937; its name means “Freedom”; every revolution the city has seen was, in some measure, planned there. We drank Stella beer in the slanted late-afternoon light, and felt unsure of how to feel; half the defendants had been convicted, half acquitted. Another colleague frantically worked her phone, trying to find someone to buy her earrings. She needed the money because, though her friend in the case had been found innocent, he faced several days of being trucked from police station to police station in Cairo, while the cops checked whether he had any other charges pending. She wanted cash to pay enough bribes to spare him the ordeal. We didn’t know then that this was only the beginning of a crackdown that, over the next three hellish years, would see hundreds more jailed. Egyptian justice hasn’t changed — it’s still unjust. The courts are still chaos, these men’s lives are still wrecked. Yet there’s a bit of hope. Today we went to the Nadwa cafe, around the corner from Horreya, and sat in the canted winter light and tried to collect our thoughts, which were scattered around like dreck and cracked sunflower seeds. 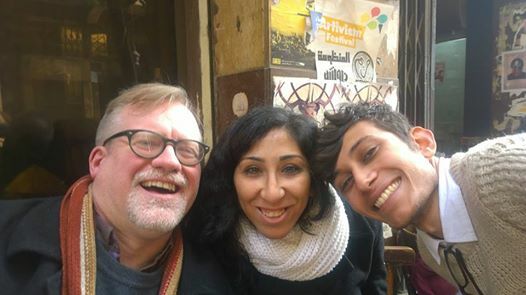 I don’t like selfies much, but here’s one we took, with me and Dalia Abd El Hameed of the Egyptian Initiative for Personal Rights, and Ramy Youssef, a law student and human rights activist, both of whom have been fighting this crackdown from the start. They’re only two of the many people who labored to see this victory, without expecting it. We look really happy. I hope lots of others today are feeling happy too. This entry was posted in Gender Identity, Health, Human Rights, LGBT Rights, Politics and tagged bathhouse, Cairo, Egypt, hammam, homosexuality, Mona Iraqi, raid, Scott Long, Sisi by scottlong1980. Bookmark the permalink. Can I reprint your blog on Egypt? With all the proper credit and links? This is a good way to start the day. Rejoice! A great result and also JUSTICE! wow a rarity! Reblogged this on Best Auto Sun Shade. Thank you, Scott. Let’s hope it holds up under appeal. Are you not offending fundamentalist sensibilities and oppressing a minority religious view here? I just re-read your post, and it made me so happy, again. Thanks so much for sharing and witnessing this historic event. We can hope the judgement may rub off on other judges and perhaps even be the beginning of the end of these persecutions, not only for LGBTI but for all freedom-loving Egyptians. In Solidarity! Pingback: EGYPT: Prosecutors Appeal Acquittal Of Men Arrested In Cairo Bathhouse Raid | Joe.My.God.